Drugstore giant CVS is being sued for marketing and advertising its algae-based Algal-900 DHA supplements as proven memory enhancers, when the science used to prop up that claim is allegedly bogus. 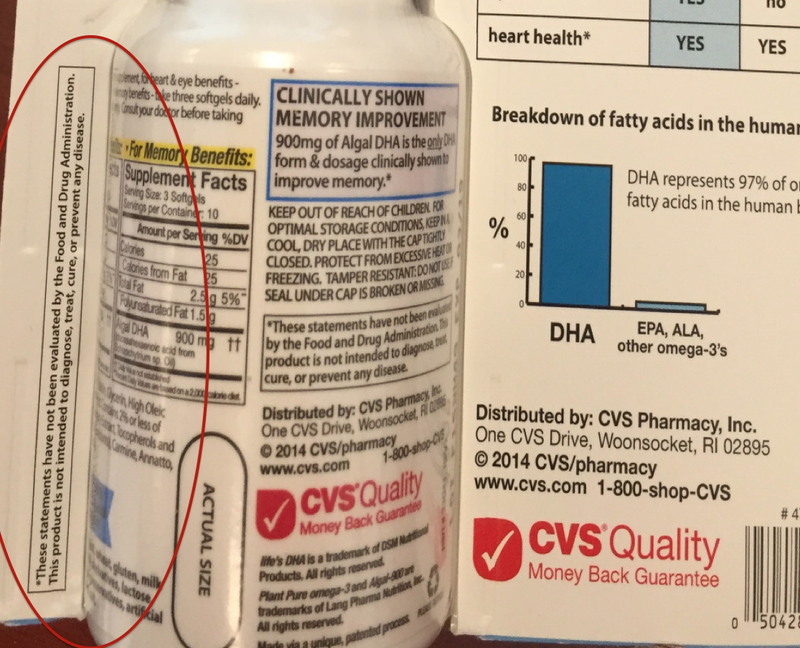 On the packaging for CVS store-brand Algal-900 DHA [Docosahexaenoic acid, an omega-3 fatty acid], it repeatedly states that the product has been “clinically shown to improve memory,” in addition to the more generic claims of supporting eye and heart health. • Errors were reduced 50% more in the algal DHA group than in the placebo group. But the Center for Science in the Public Interest, which sued CVS in federal court today [PDF], says that the one study used to anchor the above claims has already been shown to not support the product’s purported benefits. Back in 2010, a study published in the journal Alzheimer’s & Dementia touted a link between DHA supplements and memory improvement. But not only was the author of the study an employee of a company making these supplements, the Federal Trade Commission also concluded [PDF] that the study’s conclusions did not match the data. And yet, notes the CSPI lawsuit, CVS is using this same questionable study to bolster their own product. CSPI also points out that subsequent studies have shown no apparent correlation between omega-3 fatty acids and memory improvement. This is standard, required wording for dietary supplements. However, CSPI notes that federal law requires that this disclaimer “shall appear on each panel or page where there such is a statement.” Since the Algal-900 makes statements on both the front and the back of the packaging, the lawsuit contends that the disclaimer belongs on both front and back. The potential class action seeks to represent anyone who purchased Algal-900 DHA at some point after Feb. 1, 2012. Next World Health Organization Declares Zika Virus “Emergency”: Which Airlines Offer Refunds, Rebooking? Next Up: World Health Organization Declares Zika Virus “Emergency”: Which Airlines Offer Refunds, Rebooking?